Doors are being opened for Sri Lankan producers to export to ‘Fulfilment by Amazon’ (FBA) centres in mature online markets such as the USA and UK. This is following a meeting Dulith Herath, the Sri Lankan e-commerce pioneer, had with the Amazon.com team in USA, at which they reached principle agreements on 23 October. Accordingly Kapruka.com will become an Amazon master seller in Sri Lanka, enabling aspiring local producers to sell using Amazon.com. Exporting products developed in Sri Lanka using Amazon.com to the US, Europe and other markets will be open to all Sri Lankans very soon. Amazon.com, the global ecommerce giant, is visited by over 160 million online customers in a quarter, and open to markets in 180 countries. Third party sellers (e.g. SMEs) can sell their products to these markets. Nevertheless, Sri Lankan SMEs does not have complete access to full range of turnkey solutions provided by Amazon. Opening an Amazon seller account, shipping the products and accepting online transactions were key barriers. According to Herath, this agreement enables Sri Lankan products to be listed on Amazon USA and reach out to customer base in 180 countries. The stocks on-demand will be exported to US Amazon fulfilment centres by Kapruka. Grasshoppers, the sister company specialising in last mile delivery, will enable small producers in rural Sri Lanka to connect to this end-to-end channel from anywhere in the country. Furthermore, receiving payments will be organised by Kapruka to merchants, thus bypassing the barrier posed by absence of PayPal in Sri Lanka. “This means any handicraft maker or a tea trader or even a shoe designer can sell their creations on Amazon.com, for the very first time. SMEs such as fashion market cam sell high-end clothing and Hayleys can sell its value added tea-boxes,” said Herath, referring to some of Grasshoppers’ existing customers. Grasshoppers is a start-up co-founded by Herath and Dr. Harsha Liyanage that specialises in delivery fulfilment for e-commerce companies in Sri Lanka. Herath received the prestigious Eisenhower Fellowship for the promises embodied by Grasshoppers and his pioneering achievements of Kapruka.com. Currently he is visiting global technology giants in USA under this scholarship. 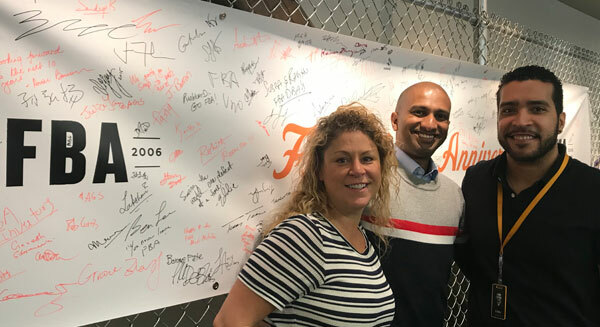 Herath has met with Kirsty Carey, who spearheads the ‘Fulfilment by Amazon’ team in the USA, as a part of his ongoing Eisenhower Scholarship program.